JPOM’s team of industry experts offer a diverse range of expertise ensuring we can meet your needs. Craig brings decades of experience in various business development and procurement roles. He advises both Canadian and international companies on key governmental programs and initiatives and develops strategies for gaining access to these opportunities. Craig recently held the position of Managing Director, Global Partnerships at Weatherhaven and previously held the title of Vice President, Business Development at DEW Engineering. Craig also managed the Procurement Services division at Hill & Knowlton Canada from 2002-2009. Earlier in his career, Craig spent over a decade at Industry Canada in a variety of roles and capping off his career as the Senior ITB Manager for the CF18 Modernization Program. Craig holds a Bachelor of Economics Degree from the University of Ottawa and joined JPOM Canada, as President in February of 2015. John’s diverse industry experience of 30+ years ranging from technical and managerial roles in globally recognized corporations (Northrop Grumman, Honeywell, British Aerospace, GE Aerospace) to hands-on management of smaller technology-based enterprises lends him an in-depth understanding of aerospace/defence and technology sectors – large to small. John brings a proven track record in pursuit and capture of major aerospace, defence and security procurements, mergers and acquisitions experience, private-to-public company transitions, and associated financing. John co-authored background documents that contributed to Jenkins and Emerson commissions conclusions which, in turn, resulted in the Defence Procurement Reform. John’s continued contributions to a plethora of industrial and academic bodies including the CADSI SME Committee, the NSERC/ISED NCE review process, the Canadian Institute for Photonic Innovations, and the AIAC Small Business Committee – among others – complement a breadth of expertise that is a valued asset to JPOM Canada. John founded JPOM in 2007. Larry brings extensive experience and success in building, leading, and advising profitably growing businesses and teams in diverse environments. Highly results-oriented with a proven track record: leading development and execution of effective Strategic Plans, Roadmaps, and Capture Plans. Larry recently held the position of Senior Vice President Business Development at Avcorp Industries, and previously held positions as: Director of Government and Strategic Programs at KF Aerospace; Vice President of RTSC (USA) and Raytheon Canada, in Los Angeles and Calgary. Larry’s career also included 20 years in the RCAF in positions of ever-increasing responsibility: SAMEO; Flight Test Design; CF-18 Program Chief Engineer; leaving as a Major. Larry is a graduate of RMC (BSEE), the USAF Institute of Technology (MScAE), the Canadian Forces Command and Staff College, and the Hughes Learning Institute and Queen’s University Executive Programs. 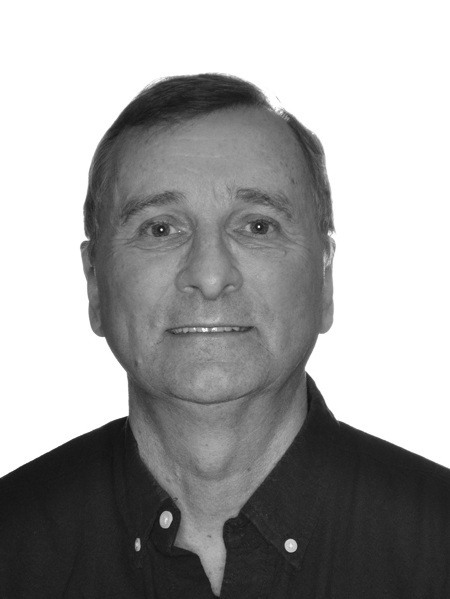 Larry joined JPOM Canada as Vice President Western Canada in April 2015. Robert specializes in advising Quebec SMEs on the capture of federal programs such as the Industrial & Regional Benefits Program (IRB) and the Strategic Aerospace & Defence Initiative (SADI), as well as the identification and development of partners, OEMs, and first-tier organizations. Prior to joining JPOM, Robert spent ten years as CEO of Mil-Quip, an SME in the manufacturing of parts and sub-assemblies in the Defence, Industrial Transport and Experiential Marketing sectors. During that time he positioned Mil-Quip as a Tier 2 partner with most OEMs on ongoing government military land programs. His experience also includes several years as a Management Consultant executing strategic planning, turnaround strategies, and financing mandates. Robert has a Bachelor of Commerce from Laval University , a Chartered Accountant designation (up to 2012), and holds an MBA from the University of Western Ontario. Robert joined JPOM as Vice President in 2015. Mark offers significant expertise in business development and investment attraction, and in-depth knowledge of the Canadian Atlantic market. As VP Business Development at Atlantis Systems Corp., Mark oversaw the development of the strategic 5-year plan for the capture of 6 major military procurements within the $25 billion National Shipbuilding Procurement Strategy. Mark was also the Director Investment Attraction, Defence, Security & Aerospace for the Nova Scotia Business Inc. (NSBI) for 6 years where he lead successful efforts to bring major defence companies to the province. He is a former RCAF pilot and Reserve Combat Arms Officer, and has extensive experience as file lead on First Nation opportunities in Nova Scotia. Mark joined JPOM as Vice President in June 2015. Bob leverages substantive knowledge of the competitive industrial landscape in Canada, international trade experience, and an extensive network of international connections to maximize client outcomes. He has served in numerous advisory roles, including his participation in the National Cyber Security Infrastructure Study and the Permanent Joint Board on Defence. His career in the Trade Commissioner Service abroad encompassed a number of geographical, political, trade and economic assignments such as Minister Counsellor in Germany, first Economic Counsellor in South Africa, Consul (Economic) in New York, Trade Commissioner in Indonesia, and Assistant Trade Commissioner in Rio de Janeiro. Bob’s former executive responsibilities in Ottawa for defence trade policy, including offsets, compliance, and procurement have provided him with a sound understanding of military challenges and the successful deployment of cost effective solutions for Canada’s allies. Bob joined JPOM Canada as a Vice President in September 2015. Howard D. Nash is a dynamic executive who spent much of his career managing Northstar Network, an Aerospace SME, and building a collaborative network of Eastern Canada companies for bidding contracts. This concept was successful in securing high value contracts with several divisions of Lockheed Martin, L3, and others. Howard brings years of experience working as a Project/Program Manager and has a proven track record in business development, risk management and quality assurance. Howard is a founding member and Co-Chair of the Aerospace & Defence Industry Association of Newfoundland & Labrador (ADIANL) and the Atlantic Alliance of Aerospace & Defence Associations (AAADA). He has served on the boards of the National Chapter of the Canadian Manufacturers & Exporters (CME), the Aerospace Industry Associations of Canada (AIAC) and has served on CADSI SME Committee. Howard moved to Edmonton in 2016 and is very active in his community there. He joined JPOM as Vice President in April 2018. Tom advises companies on capture strategies for new business and the mechanisms of government procurement processes globally. Originally from St. John’s, Newfoundland, Tom’s career has taken him across the world from Labrador, to the United Kingdom, and from Australia to South Africa. Tom’s experience in the aviation and construction industries and strong business sense allow him to effectively access business opportunities for African companies with stakeholders throughout the world. Tom works with the rest of the JPOM team in Canada and globally to present specific business opportunities and strategies for accessing such opportunities to his clients. An accomplished aerobatic pilot and an avid sailor, Tom resides in Somerset West (Cape Town), South Africa. Tom holds an Engineering Degree from Memorial University in Canada. He joined JPOM as a Vice President in February 2019.